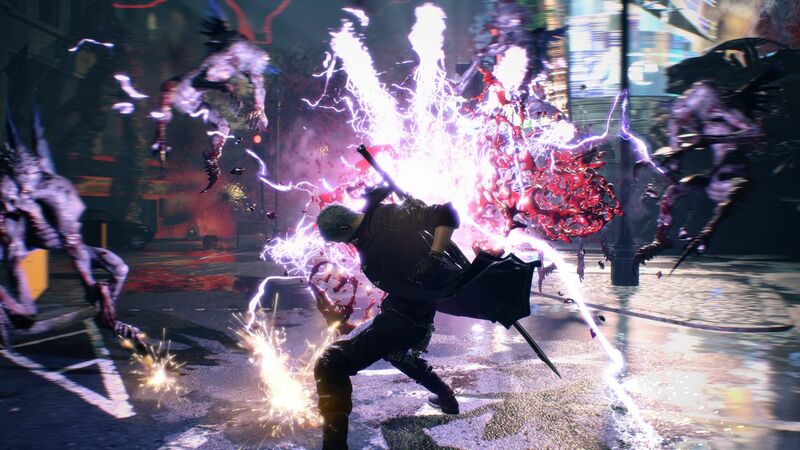 It seems Capcom has another s-s-smash hit on their hands – Devil May Cry 5 has topped the UK chart, dethroning Anthem in the process. For reasons unknown, Chart-Track has provided a handful of physical sales figures this week – information usually kept hush-hush. Sales of DMC5 totalled 20,872, outperforming Red Dead Redemption 2 – at #2 with 5,980 physical sales – by some margin. Mario Kart 8 Deluxe had a substantial sales boost, rising from #8 to #3. Then at #4 we find EA’s loot shooter Anthem, boasting 4,974 sales. FIFA 19 fell from #2 to #5. Far Cry New Dawn dropped three places too, now at #6. 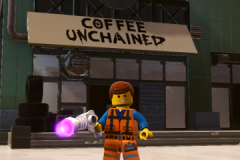 Continuing this theme, The LEGO Movie 2 Videogame went from #4 to #7 during its second week on sale. Super Smash Bros. Ultimate rose to #8, Metro Exodus prepares to depart to the top ten at #9, while the evergreen GTA V sees us out at #10. 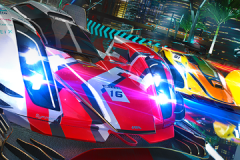 Dirt Rally 2.0 and Trials Fusion: Gold Edition both had rough second weeks – Codemaster’s racer went from #6 to #21, while Ubisoft’s racing/physics/party game tumbled from #10 to #27. 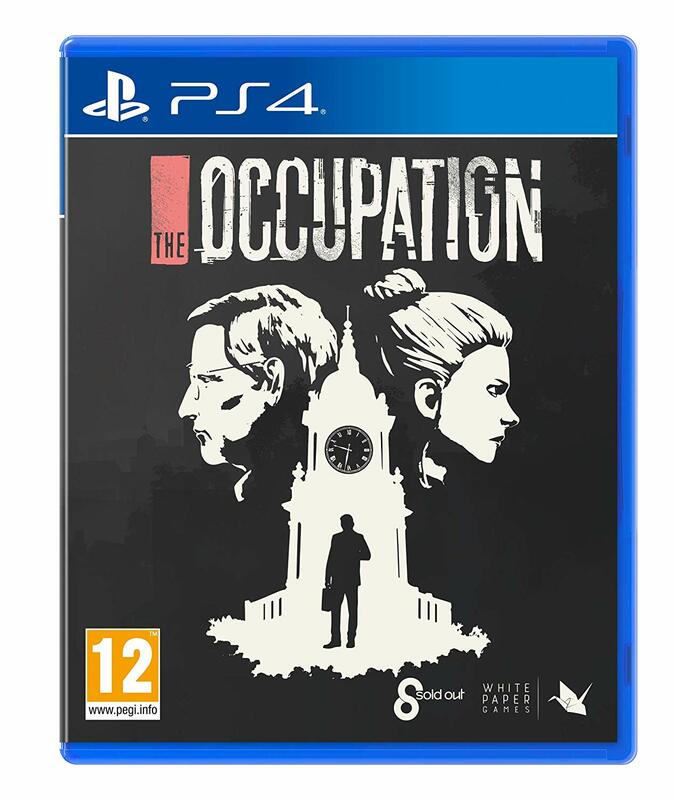 Square-Enix’s universally panned Left Alive – which currently has a dismal 40% Metacritic – was the only other new release, scraping in at #39 and selling just 947 copies. We guess this means a new release only has to shift around 1000 copies during this time of year to break the top 40. Also of note is Kirby’s Extra Epic Yarn on 3DS failing to make the top 40. The Wii re-release managed to top the 3DS chart, at least. 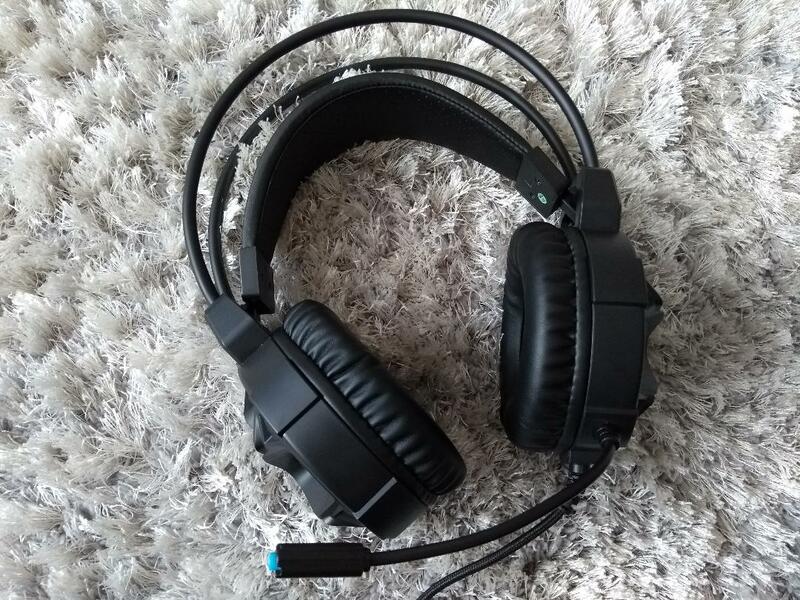 Peripheral manufacturer EasySMX prides themselves on producing high-quality products at low prices, with most of their multi-format gaming headsets and PC USB joypads retailing for less than £20. 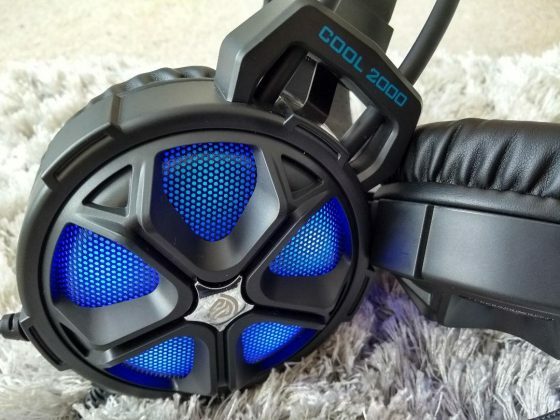 We recently received the 2019 model of their popular EasySMX ‘Cool 2000’ gaming headset – which boasts over 1,500 Amazon reviews – and was left impressed not just by the sound quality, but also the build quality. It packs in a lot of features, even doubling up as a decent pair of stereo headphones with surprisingly deep bass. The ‘Cool 2000’ – a name that’s perhaps not the greatest – comes with a 3.5mm splitter cable, allowing it to be used on Xbox One, PS4, Switch (audio only), and PC. There’s also a USB connection present, used solely to provide extra juice for the LED function – a circle of lights in a tyre-inspired formation with a choice of three patterns. Ours featured blue LEDs, although red and orange are also available. It’s a cool, if throwaway feature, that’ll no doubt appeal more towards younger gamers. Regrettably, this does mean there’s a USB lead constantly dangling when not in use. 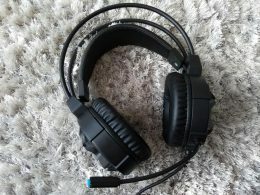 Both the USB and audio connectors come with transparent dust covers – an unexpected extra considering the headset’s low cost. The audio connector covers seem pointless, but the USB cover will protect it should it ever take an accidental dunk in a cup of tea. All cables are covered in braided material instead of regular plastic, and the tip of the flexible microphone also contains a small glowing LED. The soft padded twin speakers prevent a remarkable amount of background noise. They’re connected by an adjustable headband consisting of two, twistable, steel supports and a soft foam strap. Some of EasySMX’s product descriptions inform that it’s memory foam, but we aren’t best convinced. Either way, it’s soft and provides extra comfort. It’s impossible to say how many big-name 3DS games Nintendo has left in the pipeline. The ageing handheld is at least going out in style – Kirby’s Extra Epic Yarn is out this week, gaining decent reviews. This 9-year-old Wii platformer reportedly holds up well in a shrunken down form, gaining 9/10s from both GameSpot and Nintendo Life, and an 8.5 from EGM. “The strong gameplay design from Kirby’s Epic Yarn still shines a decade later, and the carefully-crafted additions in Extra make the original feel threadbare in comparison,” was EGM’s verdict. The Switch receives a few belated conversions, meanwhile. The very good Assault Android Cactus+ brings colourful, hypnotic, twin-stick shooting while Valley is an underrated first-person platformer. 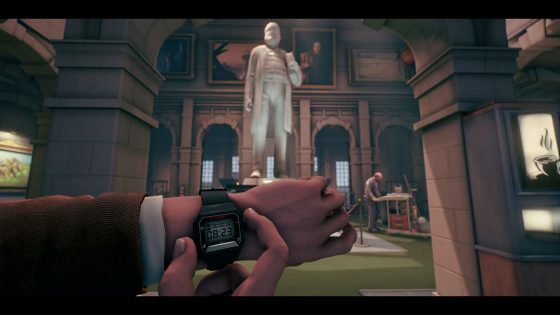 A fantasy Mirror’s Edge, if you will, involving discarded World War II technology. We’ve played through both of these on Xbox One, and while both are a little short, we can safely say they’re worth considering. There’s also 12 is Better Than 6, a sketchbook top-down shooter set in the wild west, and Beat Cop – a retro, pixel art style adventure in New York, inspired by ’80s cop shows. Failing that, there’s good old Pong, in the form of Proficient Paddles Deluxe. Hurrah? 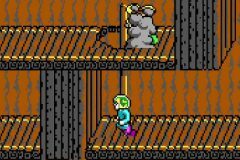 Social media would no doubt erupt with confusion and laughter if SEGA ever attempted to resurrect Mega Drive heroes Greendog The Beached Surfer Dude and Kid Chameleon from the 16-bit graveyard. While both games were popular in their heyday, many would consider their quintessentially ‘90s stars positively passé nowadays. 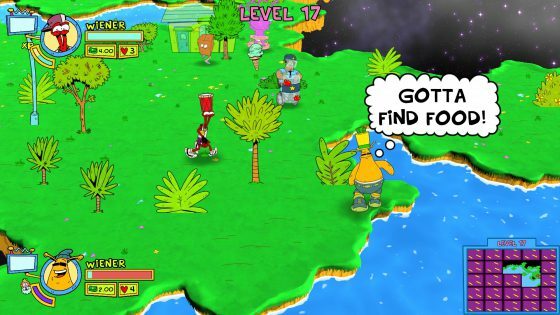 Funk loving aliens ToeJam & Earl are from the same era, yet their return – following a 17-year hiatus – has been a cause for celebration. Reasons for this are numerous. Firstly, they weren’t your typical attitude-filled mascots. The three-legged ToeJam and his portly pal Earl may have sported baggy shorts and wide shades, but their personalities were kept low key. That’s to say, they didn’t rattle off corny catchphrases at every given opportunity. They also had a passion for hip-hop – something still relevant today. Secondly, the ToeJam & Earl games were ahead of their time, with the original adventure being lightyears ahead. 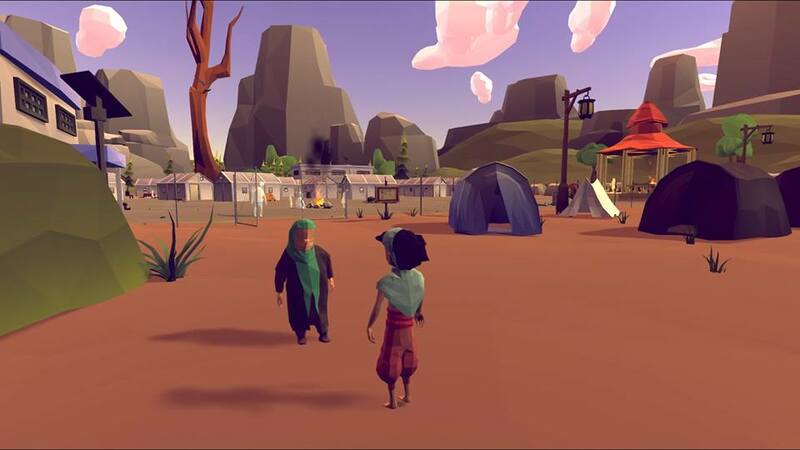 It featured a structure similar to many of today’s popular indie games – including The Binding of Isaac, Enter the Gungeon, Dead Cells and Spelunky – being a ‘roguelike’ inspired by the genre’s granddaddy at a time when copycats were few. Not only were stages randomly generated, but also the mystery box power-ups ToeJam & Earl came across, some of which more beneficial than others. This meant each game was slightly different from the last due to varying chances of success, based on level layouts and the usefulness of items found. Throw in a warped sense of humour, a funky soundtrack, and some of the most memorable speech samples of the 16-bit era, and you’ve got yourself a bona fide classic. If only SEGA knew how to market it, which ultimately lead to the sequel being a more core-audience pleasing side-scrolling platformer. This too wasn’t without its fair share of innovations, however, boasting a bigger focus on exploration than most Mega Drive platformers. 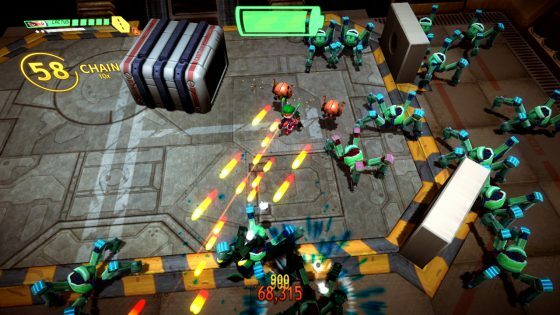 The third game, meanwhile, sunk without a trace following a rough development cycle that saw it change from Dreamcast to Xbox, and a second developer (Visual Concepts) brought in to wrap things up. This long-awaited, Kickstarter funded, fourth entry uses the same set-up as the fan favourite original. Rather than being a mere remake, it’s more of a complete modernisation. Fancy new trimmings include online play, a bevvy of difficulty modes, and permanent perks in the form of unlockable headwear. 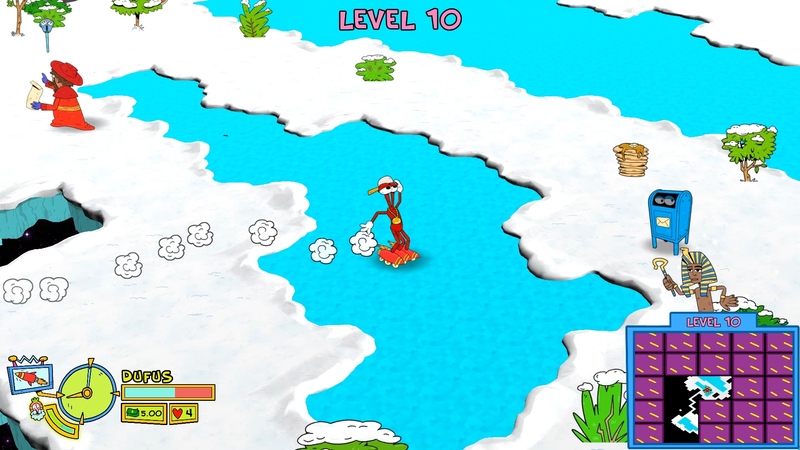 Both ToeJam and Earl have also received a makeover. Bermuda shorts are out, cargo shorts are in. Word. Clearly to please retro purists, classic ‘old skool’ ToeJam and Earl are still playable characters, looking a little dorkier than their modern-day counterparts. Joining them are a few new faces – at the end of each game, an additional playable character can be chosen. This helps with replay value, as does the fact there are both fixed and random worlds to complete. The list of achievements/trophies has had some thought put into it too, as many encourage playing a little differently. We absolutely approve of this. 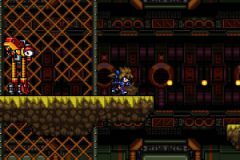 The same can be said for TJ&E 2’s auto-running Hyperfunk Zone mini-game making a comeback, which still provides a decent challenge. For the uninformed, ToeJam and Earl’s quest entails finding missing parts of their orange-hued space ship so they can return to Funkotron. Each stage also contains an elevator that’ll take our heroes to the next world. Sometimes you’ll get lucky and find both the elevator and ship piece pronto, while other instances require most of the map to be uncovered first. The pace is a lot quicker this time around, thankfully, resulting in an average game time of around an hour. 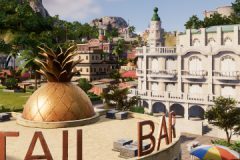 A bigger emphasis on looting is evident, as mystery boxes are now hidden in trees and bushes, and the landscapes also feature houses with doors you can rudely bang on. The world may seem abstract in design, but it’s actually Earth viewed through alien eyes. Biomes include grass, desert, and slippery snow worlds, along with new night-time stages with limited vision. A few other ideas will catch veterans off-guard, which we won’t spoil. Capcom knows how to pick ‘em. Releases dates, that is. Having already capitalised on the quiet month of January, resulting in Resident Evil II’s record sales, the Japanese publisher has bagged the best possible week for Devil May Cry’s comeback – it’s the quietest one we’ve had in a while. Reviews went live earlier today revealing Dante is back on top form. 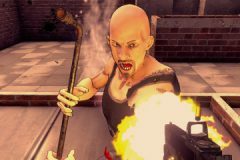 Both God is a Geek and Destructoid awarded the hack ‘n slasher top marks, while IGN deemed it worthy of an equally impressive 9.5. We’ve rounded up scores below. Of course, it isn’t the only new release out. 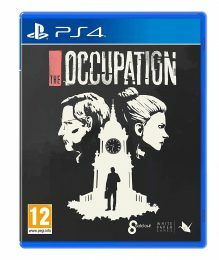 From Humble Bundle there’s The Occupation, a 1987-set British Bioshock alike with a political theme. 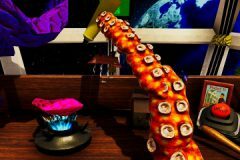 Reviewers claim that it has a few technical issues but if you’re able to look past them there’s an interesting story to take in. Wales Interactive is also back with Attack of the Earthings, a comedic tactical shooter. The PC version arrived to decent reviews roughly a year ago. It doesn’t seem to have gone down quite as well on consoles though, resulting in a mixed reception. From Square-Enix there’s Left Alive on PS4, a survival shooter ironically DOA. It arrived in Japan last month to terrible reviews, with the Amazon Japan customer score sitting at 1.5/5 due to dated mechanics and clunky controls. 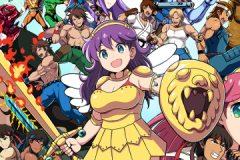 Seemingly to prevent word of its poor-quality spreading, Square-Enix put a ban on live streams. Ouch! From bad to good. 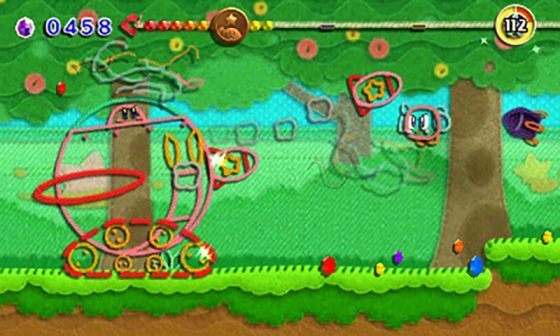 Kirby’s Extra Epic Yarn on 3DS sees the nine-year-old Wii platformer gain a new lease of life, addressing issues with the game’s difficulty (or rather, the lack of) along the way. Scores are a mixture of 7s, 8s, and 9s. Perhaps not the ideal candidate for a shrunken down conversion, but still pleasing to see this late in the handheld’s life. Then we have MMORPG Black Desert, one of the more exciting games to hit Xbox One of late. 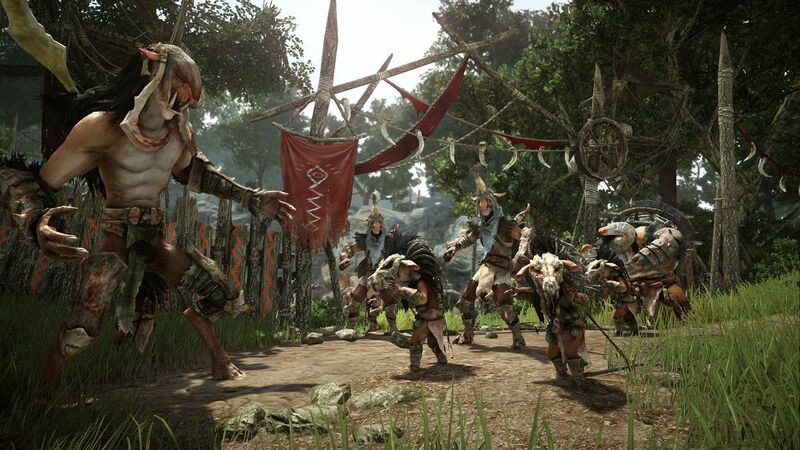 “It is easily the best of its kind to be found on the Xbox One and thanks to the tweaking and simplification of the combat for the system, it’s a game that feels right at home on consoles,” said Screen Rant. The Xbox One also receives the puzzle adventure Old Man’s Journey this week. It’s well worth your time, gaining 4/5 from The Xbox Hub and a 7.5 from Xbox Tavern. 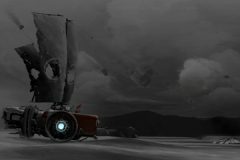 “if you’re a fan of story, puzzles, and innovation, and are happy to take it all in at a gentle pace, then it’s well worth you giving this a try,” was the former fansite’s verdict. Finally, Puyo Puyo Tetris has finally reached PSN and Steam. Why the delay? SEGA apparently had to wait for the rights to Ubisoft’s terrible, terrible, Tetris Ultimate to expire first. Like the old saying goes, good things come to those who wait. Toby Fox’s surprise Undertale follow-up carries over many themes, with the new turn-based battles continuing to focus on forgiveness, compassion and understanding to win over the hearts and minds of adversaries. There’s just one monster-sized hurdle to overcome – the protagonist has been paired with a secondary character that fails to understand the value of kindness. 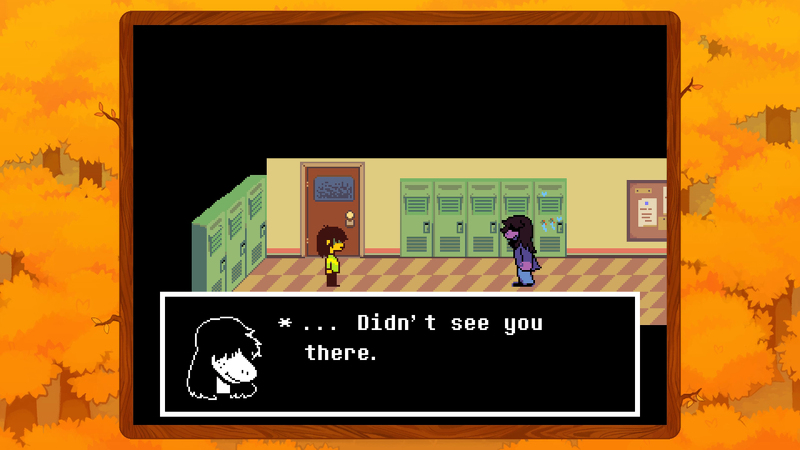 Being a story driven affair, with characters pausing for a chinwag after every climatic battle or upon entering a new location, it’s hard to go into DELTARUNE in detail without fear of spoiling something. We can at least detail the outline of the plot. It begins with the silent lead character, a human, running late for school. Their tardiness results in them being paired up for a project with the school bully – a purple monster known as Susie. After being sent to the supply closet for more chalk, they’re somehow teleported into a mystical realm on the brink of destruction. If this doesn’t make it clear DELTARUNE prides itself of being silly, nothing will. There’s a slight air of ‘Nelson Muntz’ to Susie’s character design, and not just because of the shaggy hairstyle. She’s quick to mock others, and more than happy to let her fists do the talking, but it’s nothing more than a ‘tough front’ linked to an inherent fear of being judged. The same is also true for the self-proclaimed villain of the piece – a mischievous chap known as Lancer – and as a mutual understanding between the two blossoms, the storyline starts to form twists. For the most part, DELTARUNE reuses Undertale’s winning formula – it’s a role-player with a Nintendo-esque vibe, frequent battles, a cast of oddball characters, and a handful of simple yet pleasing to solve puzzles. 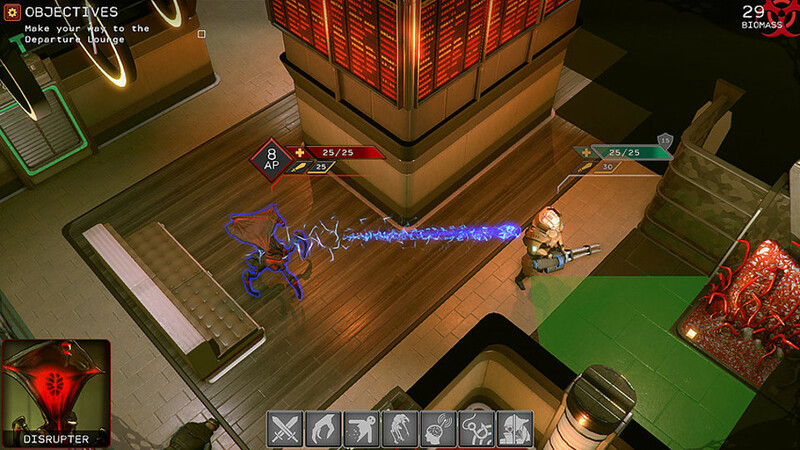 The battle system is deeper and more complex, however, resembling the turn-based battles found in early Final Fantasy games. It’s still action-orientated – in the sense that each battle has a mini-game involving avoiding various objects, with different patterns and obstacles for each enemy – but there’s now a party system with all the usual RPG trimmings. This includes a ‘support’ character – Ralsei, a mild-mannered native to the mystical world, who is introduced early on. They bring our heroes up to speed, firmly believing they hold the power to end the ongoing tussle between the light and the dark.